Cloud Infrastructure Kickstarting guide is not designed as a simple how to install and how to use it, rather a try to explain the possibility of alternatives. The first decision to make is to choose the best solution for hosting wordpress and think of the freedom to choose what software to use, manage the database etc. Since shared hosting plans do not allow you to have so much freedom, the choice should fall on a dedicated server, a VPS or a cloud server or IaaS (Infrastructure as a Service) or at least a PaaS (Platform as a Service). A dedicated server is an expensive deal and payment is monthly and fixed, the need to choose just how much computing power we need as we do not have the ability to perform a simple upgrade or downgrade, so if you are wrong with the solution it is necessary to re-run the server setup in 90% of cases. Moving on to use a VPS we can more easily perform any upgrade of resources, such as increasing the number of cores or cpu, alloted GB of RAM and, if we choose carefully the provider, even in the case of major hardware failures our sites will not be unavailable or will be migrated to another node hardware. The last solution is to order a “cloud server” or IaaS. PaaS might not be everyone’s choice. Talking about the last solution, which is to use a cloud server or rather an IaaS, currently there are two types of offers IaaS that may be interesting to you. The first type, which could be called “Amazon-like”, involves the adoption of an entire ecosystem, consisting of both software and hardware components. In that case we should buy one or more instances (like EC2), the storage blocks (EBS), use the email service (SES) and configure the network to make our websites visible. The whole system is billed in a very nice way : for storage, for example, in addition to the space, the number of operations of reading / writing executed is also taken into account. You need a good preparation in this regard. The second type, however, in the eyes of the end customer is much closer to the concept of VPS, since you can choose for each cloud server how many CPU cores it can have, GB of RAM, GB of space and bandwidth. The difference, with respect to any traditional VPS is the management of billing : you will pay with very granular pricing (usually counted in seconds or minutes), the amount of resources you requested for the allocation. Continue to read the Overview of Current Market of Cloud Server and Cloud Storage and Cloud Computing service models before your shell out your hard earned cash. This Article Has Been Shared 3567 Times! Example of Platform as a Service in Cloud Computing can be Heroku Cloud which is Debian based platform supporting Ruby, Java, Node.js,Scala,Clojure, Python,PHP. 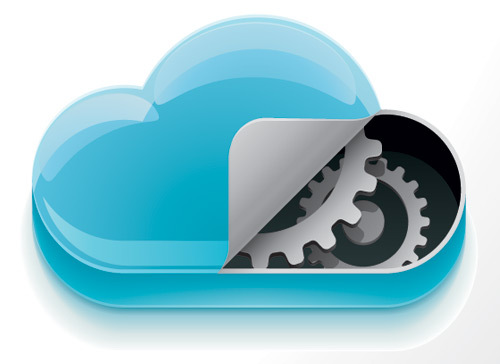 Cite this article as: Abhishek Ghosh, "Cloud Infrastructure : Kickstarting guide," in The Customize Windows, March 19, 2013, April 23, 2019, https://thecustomizewindows.com/2013/03/cloud-infrastructure-kickstarting-guide/.